This technique, described by Bennett and Ray, is reported to be associated with short operative times and has the advantage of introducing tactile feedback in locating the adrenal gland. This technique utilizes the Handport® f, which is placed in the upper midline for left-sided lesions and via an oblique right lower subcostal incision for right-sided procedures. The procedure then follows the same dissection as for open surgery with Kocherization of the duodenum on the right prior to control of the adrenal vein, whereas on the left, the greater omentum is divided, and the adrenal gland and vein accessed through the lesser sac (15). In this series, three procedures were performed successfully with operative times of 55 to 90 minutes. 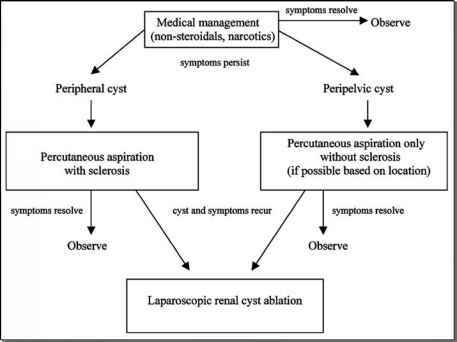 Hand-assisted laparoscopic adrenalectomy may offer an alternative to cases where an open procedure is being considered, such as with large or potentially malignant lesions, or where conversion from a laparoscopic adrenalectomy may be required (15).